There are many artificial Christmas tree storage bag models and brands available on the market, but I personally recommend the TreeKeeper Pro, seen below, even though it is more expensive than many of the others available. 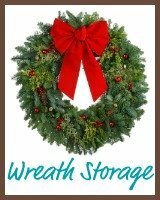 The reason this product gets my recommendation is that it is one of the best systems out there for Christmas storage, period. It is a leader in the industry that a lot of the competition have tried to mimic and copy. The bags are expensive because they are meant to last, and be very durable. They are not as prone to ripping and tearing as some of the cheaper products on the market, and since most people plan to use this bag year after year for storage that becomes important in the long run. In addition, I like that there are so many sizes available. With lots of the cheaper bags available you cannot fit very "fat" trees, or trees above a certain height. 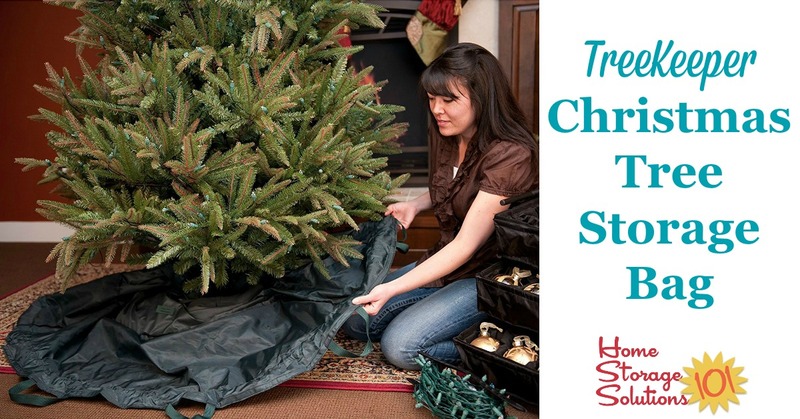 With this Christmas tree storage bag it's made to fit your tree size, up to a nine foot tree. (If you've got an even bigger tree, up to 12 feet, you'll need to look instead at an XL Treekeeper Christmas Tree Duffel instead). 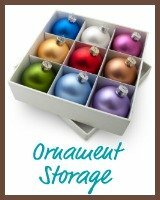 Here is a video from TreeKeeperBag.com which shows how to install this Christmas tree storage bag at the base of your artificial Christmas tree. The best thing about it is that this only has to be done one time, ever! After that, you never have to mess with this installation process again, unless you get a new tree. 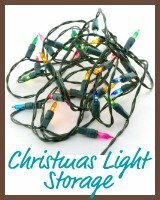 Here are additional videos about this Christmas tree storage bag system, to help you understand how it works. This next video demonstrates how to close up the bag at the end of the Christmas season, and how to use the wheels on the rolling tree stand you get if you purchase the Pro version of the system. Finally, this video demonstrates how to unpack your Christmas tree the subsequent holiday season, and how to get the tree out of the TreeKeeper Bag. In addition, it compares some other bags on the market, which are not as sturdy and durable as the TreeKeeper bags. 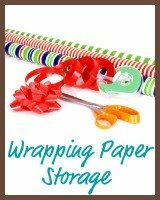 The beauty of home storage solutions is that there is almost always more than one way to store items in your home. 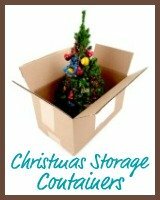 If you would like to explore more options for artificial Christmas tree storage then you can check out these additional articles on the site listed below. For instance, the TreeKeeper Pro Christmas tree storage bag compresses the boughs of your tree, to make it more compact for storage. While all you have to do the next year is "fluff" it out a bit, it does mean you have to take the decorations off so they don't get damaged. If you're interested in keeping the decorations on, check out the bag below that doesn't compress the tree. 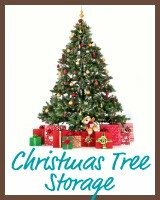 In addition, as I mentioned previously, in addition to bags there are also duffel like containers to hold your tree, and if you've got a large tree such as a 9-12 footer, this is really one of your only options (you will have to partially disassemble the tree each year too). Finally, there is also a lower cost bag you can check out, which is the best of the "less good" product, if cost is prohibitive, and providing you have a smaller tree since it doesn't accomodate large trees.